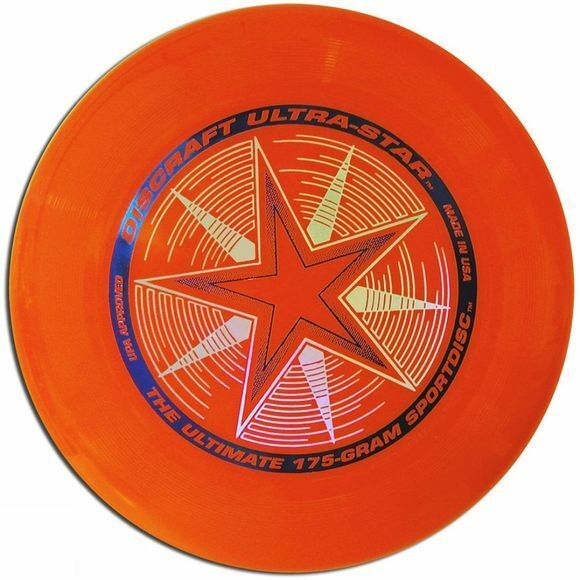 Those of you who play Ultimate Frisbee (known to aficionados simply as "Ultimate") will probably already know the Ultrastar 175, the official disc of the USA Ultimate Championship Series since 1991. With its contoured grip and aerodynamic engineering, the Ultra-Star has set the standard for quality, consistency and performance. Those of you who don't play...grab yourself an Ultrastar and give it a go!Intrigued? Think non-contact rugby, played by teams of seven with a frisbee instead of a ball.